Rafic Farah is a versatile artist. Designer, architect, artistic director, graphic designer, photographer, Rafic Farah is a many skills man who says about him that he was particularly influenced by the Mediterranean artists and that he chooses the design by chance. Graduated from the Faculty of Architecture and Urban planning of São Paulo, he established his own design cabinet in 1981. He devotes himself then to graphic design. Author of many logos for major Brazilian firms, he is in charge of the conception of the covers of the magazines Around in the Eighties and Trip in the Nineties. He is also the author of several advertising campaigns for fashion brands (Zoomp, C&A, the FIT...). It is at the end of the Eighties that Rafic Farah really launches out in the design of objects and furniture. 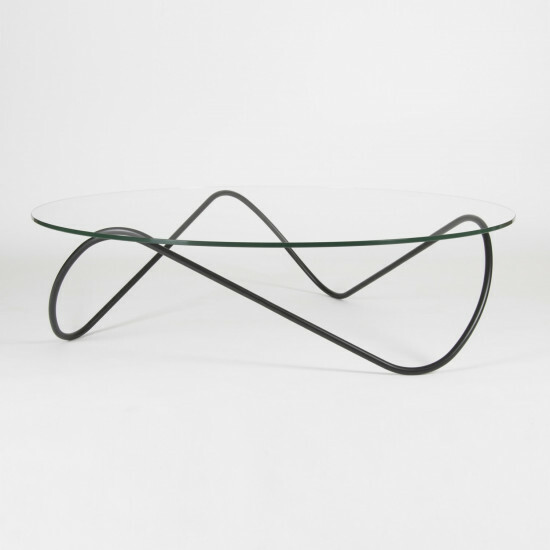 One of his best creations is, without any doubt, the coffee table initially designed for the Doctor Kaeco. He pitches on his design of objects for simple lines, uncluttered, almost ethereal. Rafic Farah took part in many exhibitions in Brazil and also abroad (Tel Aviv, Paris, Rome and Frankfurt). His work was rewarded by the Ekoplagat price (international category). He also represented Brazil during “Graphistes autour du monde” in 2001 in Paris.